Here are some things I'm experimenting with. If you're game to experiment along, join me here in the lab! Check out these beta offers (and things) you can access at introductory prices! 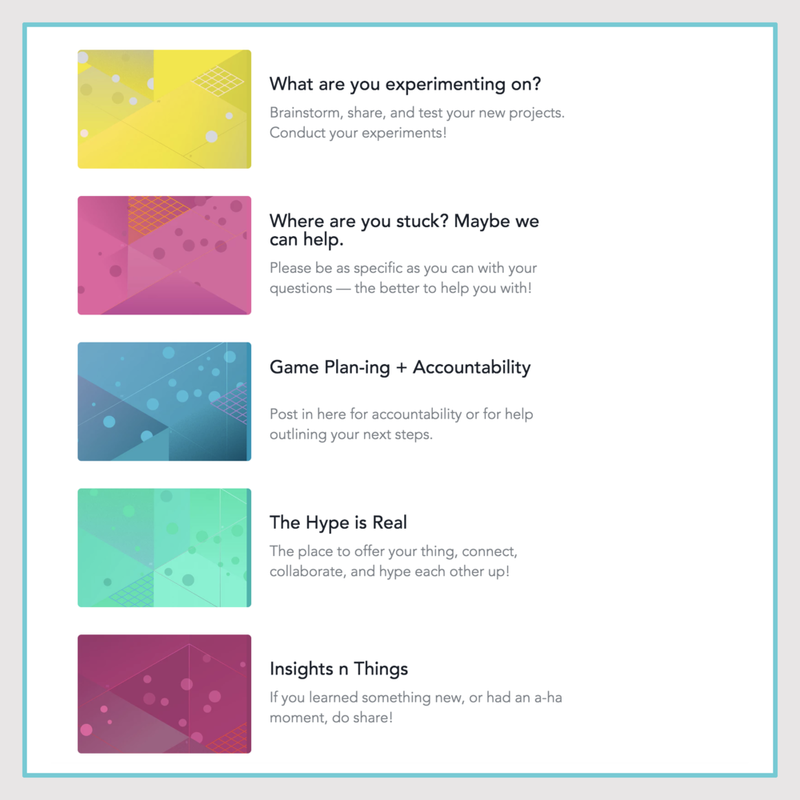 Play with your new ideas in here and test them out. Get feedback. Brainstorm. Solve puzzles. Connect and collaborate! Be curious. Experiment, learn, and experiment again. This community is open to anyone who has an online business or is working online projects, and we're here to take chances, make mistakes, and get messy (Frizzle, 1994)! with everything you need, and nothing you don't. Get a 4- to 5-page Squarespace website you can point people to and get yourself bookdt. Alternatively: we could also do a landing page. Collect leads, create your service page, hype a new offering. How can I collect email addresses on my website? How do I accept money for my calls? How can I email students of just a certain course of mine? Should I use a landing page? Or Squarespace? Or...??? I've worked with a lot of different online business tech as a VA and project manager, so I can help you connect the dots and figure out what works for you. On our strategy call: We'll come up the tech systems and setup you need to support your business model and goals + I'll recommend the platforms that are a good fit for you!